Richard Barton was baptised on 30th November 1741 at Thornbury Parish Church, the eldest of ten children of Thomas Barton, Butcher, and his wife Sarah (nee Giles). Richard’s father, Thomas Barton, was a butcher of Thornbury. He died in 1774 having made a will and his widow died in 1788. On 15th December 1767 Richard Barton married Ann Lee (Leah) at Cromhall and they were living at Starvall Farm, North Nibley by 1769. They had six children who were all baptised at St Martin’s Church. Ann Barton, the first wife of Richard, died on 26th December 1779 aged forty-four years and she was buried on 29th December 1779 at St Martin’s Church. A headstone was erected bearing the inscription: ‘Ann, wife of Richard Barton Died 26th December 1779 aged 44years’ (Bigland). Nobody seems to have found details of Ann Lee prior to her marriage. However, on 18th (or 10th) March 1751 an Anne Lee, daughter of Henry and Sarah Lee, was baptised at Cromhall. Her parents Henry Leigh (sic) and Sarah Philips were married at Cromhall on 11th March 1749. Siblings included Sarah, daughter of Henry and Sarah Leigh, baptised on 11th February 1749; John baptised on 9th March 1760. Sarah, wife of Henry, was buried on 2nd January 1765. On 23rd June 1781 there is a marriage allegation for a licence between Richard Barton and Hannah Watts, who was then aged twenty-four years. On 1st July 1781 John, the son of Hannah Watts was baptised at St Martin’s North Nibley. On 23rd October 1782 Richard and Hannah were actually married by banns at the Church of St Philip and St Jacob, in the City of Bristol. The witnesses to the wedding were William Bourne and William Watts. Hannah’s name was given as “Ann Watts”. After the birth of John there were a further eight children born between 1781 and 1795 resulting from the union of Richard and Hannah. Two of their sons died as young men. Thomas died on 3rd July 1804, aged twenty-one-years and Henry died on 10th March 1819, aged twenty-four-years. On Thursday 18th January 1816 their son, Anthony Barton, was one of the young men who accompanied John Allen on a poaching expedition to Catgrove Wood where Thomas Clarke, Colonel Berkeley’s park keeper with nine other keepers were concealed. Inevitably, a clash occurred. This event has come to be known as the Berkeley Poaching Affray and Anthony escaped arrest and eventually made his way to South Carolina. Richard Barton made a will on 24th May 1790 and he died on 14th May 1801. He was buried at St Martin’s Church, North Nibley, on 17th May and a fine tombstone was erected over his grave. His will was proved on 14th November 1801 and was valued at less than £1,000. To date I have traced seventy-seven of his grandchildren. An indenture in the deeds of number 5 Castle Street dated 26th September 1808 between Ann (or Hannah) Barton of Starvall in the parish of North Nibley relict of Richard Barton late of Starvall yeoman and William Pitcher a tailor of Thornbury explains that William Pitcher was the owner and occupier of the house. It says that from 22nd April 1779 he was using the house as security for a mortgage, firstly from George Cossham, a carpenter, then from Richard Barton and after that Richard’s widow, Ann (or Hannah) Barton. The indenture yet again transfers the mortgage this time to George Rolph. A second indenture of November 1816 transfers the mortgage from the William Rolph the trustee of the late George Rolph to William Taylor of Littleton, providing he takes out fire insurance to protect the security. By this time the mortgage has gradually risen to £170 still outstanding. In the third and last indenture in this sequence, dated 23rd October 1819, the amount owed (£170) is paid by Jane Pitcher of Holford “daughter of John Pitcher a tailor” to William Taylor. Throughout this period the house was owned and used by William Pitcher who was a tailor and married to Jane, by whom he had at least six children. The sixth child and third son was John Pitcher born on 5th September 1767. John married Margaret by whom he had at least two daughters; Jane born 25th March 1796 and Mary Pitcher born 21st March 1800. William Pitcher died died on May 28th 1823 aged 92. The 1824 Land Tax Records show Margaret Pitcher now owned the house. November 14th 1804, less than £1,000. Richard Barton late of North Nibley, Yeoman. Executrix: Ann Barton of North Nibley. Names of the legatees: Thomas Barton, brother, and John Pearce Pope, no relationship. All his estates etc upon trust to said Thomas Barton and John Pearce Pope for the purposes in his will mentioned. House Garden etc, The Hill (arable), Great Bull Riding, Little Bull Riding, Home Leys, Upper Leys, Rough Leys, Long Meadow, Longdens Ley, Cherry Mead, Woolpits, Forty Shilling Leys, Trotmans Meadow (arable), Long Elvers, Broad Elvers, Lotts, Little Meadow, Rough Leys, Little Shermans Leys other Little Leys Aple Tree Leys. On 23rd June 1781 there is a marriage allegation for a licence between Richard Barton and Hannah Watts, who was then aged twenty-four years. On 1st July 1781 John, the son of Hannah Watts was baptised at St Martin’s North Nibley. On 23rd October 1782 Richard and Hannah were actually married by banns at the Church of St Philip and St Jacob, in the City of Bristol. The witnesses to the wedding were William Bourne and William Watts. The latter was probably the Clerk as he signed many of the other entries in the registers. Hannah’s name was given as “Ann Watts” and this recurs in later years. After the birth of John there were a further eight children resulting from the union of Richard and Hannah. A Hannah Watts was baptised on 14th September 1755 at Stinchcombe. The parents were given as William and Betty. There are two other baptisms at Stinchcombe which may be linked – on 30th January 1763 we find that of Eleanor, daughter of William and Elizabeth Watts, and on 24th March 1765 John Watts. There is also a burial of Eleanor Watts, daughter of William and Elizabeth, on 1st August 1759 at Stinchcombe and also the marriage of an Eleanor Watts and Thomas Hyatt on 10th October 1788. Marriage of William Nelmes and Betty Watts on 4th June 1794. Burial of Elizabeth Watts, widow, aged eighty years on 25th October 1813. Two of the sons of Richard and Hannah Barton died as young men. Thomas died on 3rd July 1804, aged twenty-one-years and Henry died on 10th March 1819, aged twenty-four-years. On Thursday 18th January 1816 their son, Anthony Barton, was one of the young men who accompanied John Allen on a poaching expedition to Catgrove Wood where Thomas Clarke, Colonel Berkeley’s park keeper with nine other keepers were concealed. Inevitably, a clash occurred. This event has come to be known as the Berkeley Poaching Affray and Anthony escaped arrest and eventually made his way to South Carolina. After the death of her husband in 1801, Hannah, continued as the tenant farmer at Starvall. On 18th October 1801 ‘Anne Barton’ of North Nibley appeared before Thornbury Manor Court for admission to the lands held by her late husband, Richard Barton of North Nibley, Yeoman. This property involved three acres at Kington and five acres at Oldbury. The Trayherns were later admitted to this. Anne Barton died on 20th September 1820 aged sixty-one years and was buried with her husband on 26th September. Anthony Barton was one of the young men who accompanied John Allen on a poaching expedition to Catgrove Wood where Thomas Clarke, Colonel Berkeley’s park keeper with nine other keepers were concealed. Inevitably, a clash occurred. The poachers formed into a double line and advanced slowly towards the keepers. When they were some fifteen yards away, a shot was fired and then another, allegedly by John Penny, which hit and instantly killed William Ingram. They advanced in good order past their opponents towards Bowling Green leaving William Ingram dead and six or seven wounded. Hearing the shots, other keepers arrived on the scene but were too late to pursue the poachers who pressed on past Rockhampton Church towards Morton. According to Greenaway John Penny had significantly remarked “Now Tom Till’s debt is paid”. Earl Fitzhardinge had a picture painted of the encounter between the poachers and keepers, which for many years hung in what was called the breakfast-room of Berkeley Castle, but the late Lord Fitzhardinge had it taken down from the wall and removed out of sight. This painting has been reproduced as the cover design to Edwin Ford’s book on the Poaching Affray, which was published in 2006. We do not know what happened to Anthony directly after the night of the Affray. We know that he escaped arrest and it is possible that he made his way to the Port of Bristol with his wife and young children. Bryan Barton of Starvale Farm, Sodbury Common, understands from family tradition that Anthony Barton got under a gate and hid in a wet ditch. He then made his way to Bristol where he took a boat to the United States. On 8th January 1819 Henry Barton made a will leaving part of his estate to his nephew, William Ford Barton, the son of his brother Anthony Barton. Attention then moves to Charleston in South Carolina and, from this point, all the evidence for Anthony, Maria and their family comes from research in the United States of America and it would seem that Anthony Barton avoided detection by changing his name to Aaron. Sarah Barton was baptised with her sister Susanna on 19th September 1769 at North Nibley. She married Aaron Riddiford on 14th May 1787 at North Nibley. She was buried on 25th March 1830, aged sixty-one-years, at North Nibley. He went on to provide for the care of his daughter Sarah and he also made provision for his married daughter Ann Shatford and for his son, Aaron Riddiford. There is no mention of his eldest son Richard in the will and William was already provided for. The executors were Aaron and William Riddiford together with Richard Shatford, his son-in-law. The witnesses were Anthony Adey, solicitor of Wotton-under-Edge and George Barton. Aaron made his mark. In 1841 Aaron Riddiford was farming at Berrow Hill Lane, and was aged eighty-five-years. With him were his sons Richard, aged forty-five-years, an agricultural labourer; Aaron, aged thirty-five-years, Sarah aged forty years and Fanny aged ten years. Aaron died on 24th April 1846 and was buried on 30th April, aged ninety-two-years. His will was proved at Gloucester on 28th September 1846 and his estate was valued at under £600. Susanna Barton was baptised with her sister Sarah on 19th September 1769 at North Nibley. She married James Till, a widower, at Tortworth on 24th June 1789 and the witnesses were Richard Barton and William Trotman. James and Susannah had at least three children. James Till was a farmer of Tortworth and he died on 7th April 1816 aged sixty-one years. His widow, Susanna, was buried on 4th September 1830 at Tortworth. James Till had previously been married to Mary Olive. They had married at Tortworth on 21st August 1781 and she had died on 14th March 1789 aged twenty-five years and was buried at Tortworth on the 18th. Ann Barton was baptised on 20th August 1770 at North Nibley. She married James Till on 3rd February 1793 at North Nibley and had children. James Till died on 19th April 1803 at Uley and was buried at Tortworth on 24th April. On 9th December 1805 Ann married Thomas Till at the Church of St Philip and St Jacob in the City of Bristol and one of the witnesses was Richard Barton. They also had children. Mary Barton was baptised at North Nibley on 22nd October 1774. She married Benjamin Hobbs on 16th July 1795 at North Nibley. He was described as a Pig Killer. Benjamin and Mary had three children. Mary Hobbs was buried on 7th June 1800 and buried at Charfield. Her husband, Benjamin, died on 1st October 1840 and was buried with her. The eldest son, Richard Barton died on 11th April 1840 aged 65 years at Michaelwood and was buried at Berkeley on 15th April (family bible 11th April). In the 1841 census his widow was described as about sixty years old and living at Lodge Farm with her children Elias and Eliza. Mary Barton died on 2nd October 1847, aged seventy-two years, and was buried on 7th October 1847. She was then living at Berkeley. In the 1851 census Richard and Mary’s eldest son, Richard Barton, was described as unmarried and farming 260 acres at Oakleaze, Oaklees or Oxleaze Farm, Swanley, near Woodford. He employed a housekeeper, two dairymaids, a carter and a cowman. Richard died on 11th May 1861 at Oakleys (sic) and was buried five days later at North Nibley. His will was proved on 13th June 1862. It is said that he left his fortune to the children of his younger brother Elias Barton and Richard’s portrait has certainly passed down through the descendents of that family. Portrait of Mr Richard Barton of Oaklees Farm, Newport, Glos attributed to Samuel Spode (1811-1858). He is seated on a bay with attendant dog before the farmhouse. Oil on canvas Unsigned 62 x 75 cms. Oak and parcel gilt frame. Reframed by Frost & Reed approx. thirty years ago. Richard’s brother Elias, who was born in 1812, was to farm at Oakleaze Farm. When the Prince of Wales stayed with Lord Fitzharding in 1868 he visited Oakleaze Farm after shooting at Michaelwood. Here the Prince dined with Elias Barton after the shooting party had tried the Oakley withy beds. One of Elias’s descendents is Bryan Barton of Starvale Farm, Horton. Esther Till was baptised on 5th March 1777 at North Nibley. She married John Till on 25th November 1799 at North Nibley and they had twelve children. John Till, the son of Thomas Till and his wife Sarah (nee Fowler) was baptised at Tortworth on 19th December 1779. In 1811 they were living at Bradley Green, Wotton-under-Edge. Esther Till died on 1st April 1841 at Wotton-under-Edge and was buried at Tortworth on 6th April 1841 aged sixty-five years. In 1841 John Till was farming at Bradley Green aged sixty-years. With him were his children Thomas aged thirty, Henry aged twenty-five, Solomon aged fifteen, Charlotte aged twenty, Ruth aged twenty and Rachel aged fifteen. Esther’s husband, John Till, died on 20th February 1844 at Wotton-under-Edge aged sixty-seven years and he was buried at Tortworth on 24th February. 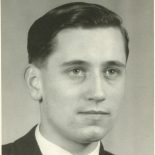 The eldest son of Richard and Hannah Barton was John. He was baptised on 1st July 1781 at North Nibley. Although his parents were planning to marry this did not happen until 23rd October 1782. He married Esther Excell on 19th July 1807 at the Church of St Philip and St Jacob in the City of Bristol and one of the witnesses was his brother, George Barton. In 1809 John Barton was described as a Dairyman of Crawless and by 1817 he was described as a Farmer of Little Sodbury. On 5th February 1848 he died of Cancer of the Nose and Apoplexy for 26 hours at the age of sixty-six-years at Little Sodbury. The burial took place at Old Sodbury on 11th February. John Barton made his will on 1st February 1848 and it was witnessed by James Perrin, solicitor of Wotton-under-Edge and George Barton, Farmer of North Nibley. He made his son Anthony, sole executor. £20 was to be given annually to his widow, Esther and bequests of £100 each to his daughter Esther Higgs, wife of Moses Higgs, Mary Stinchcombe, wife of Daniel Stinchcombe, and his son Richard Barton. In the 1851 census return Hester, now a widow, was living at Winchcombe Farm, Little Sodbury. Hester was described as sixty-seven-years-old and retired. She was born in North Nibley. The 182 acre farm was run by her sons Henry and Anthony Barton. They employed four men. Henry was forty-three-years-old and born in North Nibley. Anthony was aged thirty-four and born in Little Sodbury. Emma, her daughter-in-law, wife of Anthony, was aged twenty-nine and born in Sherston. On 27th January 1854 probate was granted to his son Anthony Barton with a valuation of under £1,000. On 7th February 1878 the estate had been left unadministered by Anthony Barton and it was granted to Anthony, his son, with a valuation under £450. Esther was living at Winchcombe Farm, Little Sodbury, on the night of the 1871 census. She was described as an eighty-four-year-old grandmother who had been born in Little Sodbury. Esther was described as living her son Henry and her sister-in-law, Emma. He was described as sixty-three-years-old and she was forty-seven and was given the title of Manager of the Dairy. Thomas Barton was baptised on 23rd March 1783 at North Nibley. He died on 3rd July 1804 aged twenty-one years and was buried at North Nibley on 8th July 1804. George Barton, another son of Richard and Hannah Barton, this time the one who stopped at home. George Barton was born on 3th July 1786 and baptised on 12th September 1786 at North Nibley. On 7th October 1814 he married Elizabeth Till at Tortworth. George and Elizabeth Barton farmed Starvall Farm at North Nibley and from 1838 he was a Churchwarden of St Martin’s Church. There were at least six children of their marriage and many of their descendants emigrated to America and Canada. George Barton made his will in 1855 and died on 23rd December 1861. He was buried five days later at North Nibley. His estate was valued at less than £1,500. His wife, Elizabeth, died before him in the April of 1861 and she too was buried at North Nibley. By the time of her death in 1820 Hannah Barton had one of her sons in exile and one helping her to farm Starvall. What of the other three – John, David and William? Another son of Richard and Hannah was David Barton who was baptised on 9th March 1788 at North Nibley. In 1809 he would have received his share of his father’s estate and at about this time we find him living on the Blackdown Hills on the Devon/Somerset border. David married Ann Spiller on 15th November 1809 at Churchstanton, Devon (now Somerset) by licence and she was described in the church register as ‘of Yarcombe’ in Devon. And this is confirmed by later census returns. The witnesses were Susannah Spiller and James Clarke. Their marriage resulted in at least seven children. On 12th November 1811 his elder brother, William Barton, married Mary Dommett at Churchstanton and their cousin, Susannah Barton, married James Hurford at Churchstanton on 10th April 1810. David became a farmer of Week Farm, Churchstanton, Somerset, and was there from before his marriage in 1809 until 1830, these dates we know from the parish registers. In 1830 David is mentioned in a church seating plan at Churchstanton in which he has places for ‘tenements in part of the Courts’. In 1817 two of his sons were baptised at Otterford but he was described as a farmer of Churchstanton. In 1823 he was further described as a farmer of Wich Farm and in 1826 and 1829 as a yeoman of Week Farm. David and Ann Barton later farmed 230 acres at Southey Farm, Dunkeswell, Devon, which was rented from the Reverend Henry Addington Simcoe. The 1841 census return for Dunkeswell is very feint and it is difficult to make out the entry for David Barton. He was described as fifty-years-old and with him on that night was his son, George, aged eighteen years, and a daughter, aged about eleven. At the same time his son, John, aged twenty-one-years, was farming at Wallen Farm, Otterford, and his mother, Ann Barton, aged fifty-years was staying with him together with his sisters Ann, aged twenty, and Mary, aged thirteen years. In 1851 David Barton was farming 300 acres at Great Southey, Dunkeswell, Devon. Their staff included Charlotte Knight, forty-year-old house servant; Edward Gosling a twenty-four-year-old agricultural servant and waggoner and Samuel Gosling a fourteen-year-old agricultural labourer. In the 1861 census return David Barton was described as a farmer of 230 acres at Great Southey, Dunkeswell, Devon. Their staff included Samuel Carter, a twelve-year-old plow (sic) boy; Charlotte Knight, a forty-year-old dairy maid and her assistant, Susanna Stone aged twelve. Charlotte Knight, who was probably nearer fifty, was to be a family servant until at least 1881. Ann died on 10th January 1862 aged seventy-three years. Administration was granted on 12th August 1862 and her estate was valued at under £100. David made his will on 12th March 1864 and died a week later on 19th March aged seventy-six-years. His will was proved on 18th May 1864 and his estate was valued under £800. Anthony Barton was baptised at North Nibley on 14th March 1790. He married Maria Ford on 2nd December 1809 at the Church of St Philip and St Jacob in the City of Bristol. The witnesses at the wedding were his brother and sister George and Elizabeth Barton. It is possible that Maria was the daughter of William Ford and Sarah his wife whose daughter Maria was baptised at Tortworth on 18th April 1787. Before their marriage the couple had witnessed the wedding of James Stinchcombe and Matilda Ford on 27th May 1809. Anthony and Maria had four children who were born and baptised in Gloucestershire – William Ford Barton was christened on 29th May 1812 (born 25th April 1811 according to the Register), George on 3rd March 1813, Sarah on 14th April 1814 and Hannah on 31st October 1815 all at Thornbury. Their father, Anthony, was described as a farmer, late of North Nibley in 1812; as a farmer of Moreton (sic), Thornbury, in 1813; as a pig butcher of Moreton (sic) in April 1814 and as a carpenter of Moreton (sic) in 1815. A further reference to Anthony Barton comes in October 1815 when he witnessed his sister Harriet Barton’s marriage to Henry Sheppard in Bristol. We do not know what happened to Anthony directly after the night of the Affray. We know that he escaped arrest and it is possible that he made his way to the Port of Bristol with his wife and young children. On 8th January 1819 Henry Barton made a will leaving part of his estate to his nephew, William Ford Barton, the son of his brother Anthony Barton. Attention then moves to Charleston in South Carolina and, from this point, all the evidence for Anthony, Maria and their family comes from research in the United States of America and it would seem that Anthony Barton avoided detection by changing his name to Aaron. I am indebted for this part of the story to a family history entitled ‘The Barton of Charleston, South Carolina and Orangeburg County, South Carolina’, produced in 1956 and updated in June 1983. Aaron/Anthony and Maria’s children include the four born in England, namely, William Ford, George, Sarah and Hannah, and then two more born in the United States – Elizabeth Barton, born in 1818 and Anthony G. Barton who was born four years later. Information for Aaron/Anthony’s new life in South Carolina includes the returns of the 1820 and 1830 censuses where a household of Aaron Barton is listed in the Charleston District. Trade Directories include details of an Aaron Barton, carpenter, of 20 Wall Street in 1825 and an Aaron Barton of 10 St Philip Street in 1830/31. Aaron/Anthony Barton seems to have remarried after Maria’s death in 1825. His bride was Jean (Jane) Livel, a widow, and the marriage settlement was dated 7th June 1827, they were both of Charleston. It would appear that they had a child, Aaron J. Barton, who was born in 1828. Aaron/Anthony and Maria’s second daughter. Sarah. married Henry Pregnall and the story of her family offers us valuable details of the Barton family’s earlier days in Charleston. ‘Henry Pregnall was in Charleston, South Carolina arriving with his grandfather in 1817 on the sloop Victor from New York. They were passengers listed as “Mr. Pregner and Son.”. Henry Pragnell was, after the death of his grandfather, placed by a Warden of the City of Charleston in the Charleston Orphan House on February 25, 1819 under the name “Henry Pregnall” at age nine years. Twice he was indentured until his sixteenth birthday. The indentures stated that the child shall “dwell and continue in said Orphan House, “to be supported, educated and maintained,” until he shall be of sufficient age to be bound and apprentice (sic) to such profession, trade or occupation as may be suited to his genius and inclination, and from thence to dwell, continue and serve with such person to whome (sic) these Indentures shall be transferred from the day “that the child reaches his sixteenth birthday. Henry “Pregnall” was first indentured to a Mr. Wm. Michell, a “practitioner of medicine” on March 11,1824. Henry was then 14 years old. This original indenture stated “Expiration of Servitude” as “25th February 1831.” This meant Henry would be twenty-one years old when free. This appears in conflict with the age sixteen in the above policy of indentures discussed by Mr. McKnight. Perhaps the policy changed from freedom at age sixteen to twenty-one. The question of such a long servitude under William Michell became moot, however. Family lore is consistent reporting that Henry was mistreated by Michell. According to lore Aaron Barton stepped in, and the indenture to Michell was broken. Henry’s indenture then was transferred to Wm Bull as a carpenter on 17 February 1825. It was under Mr. Bull that Henry learned carpentry. In the Charleston City Directory of 1822, both Aaron Barton at 26 Archdale St. and Wm. Bull at 19 Market St. are listed as grocers. Archdale and Market intersect, and these two grocers must have known each other as competitors and probably friends. In 1824 Aaron Barton, carpenter, lived at 20 Wall St. (Wall Street on an 1855 Charleston map ran for one block east of Anson St. Wall Street ran south from Calhoun to Laurens St. It no longer exists.) In 1824 Mr. William Bullis unlisted in the City Directory. His grocery at 19 Market was then run by John Bull, a son or brother, perhaps. In 1825 John Bull reappears in the records of the Orphan House as a carpenter to whom Henry Pregnall’s indenture was transferred from Wm. Michell. Barton. Whether this switch was Henry’s choice (doubtful) or an agreement between Bull and Barton, we know not. Barton was a carpenter and ran a lumber mill. In 1831 Aaron/Anthony Barton was a carpenter at 10 St. Philip’s St. Henry Pregnall most probably lived with the Barton family and was counted in that household during the Census of 1830. Sarah, the oldest of Aaron’s children of whom we have record, was four and a half years younger than Henry, but their relationship must have blossomed. They married on the 4th of July 1832 in St. Stephen’s Episcopal Church, Charleston. He was twenty-one; she, seventeen. RIDGEWAY, LAWRENCE. Admitted October 14, 1830 aged seven years by CHARLES RIDGEWAY, father. Delivered to his mother, ELIZABETH SMITH, to be bound to PREGNALL and BARTON as a house carpenter August 7, 1832. Indentures expired October 14, 1844. Henry, the former orphan, also took under his supervision: SIVIL, ALEXANDER. Admitted August 14, 1834 aged eleven years by JANE BARTON. Indentured to HENRY PREGNALL as a carpenter July 25, 1837. Indentures expired August l4, 1844. “The Returns of Deaths within the City of Charleston” reveal that an Aaron (Anthony) Barton, male, white, aged forty-three-years, died of consumption and was buried at St Philip’s. According to this record, he died some time between the 13th and 20th April 1834. Anthony G. (J) Barton, the sixth child of Anthony/Aaron and Maria Barton, was born on 3rd December 1822 and died on 27th October 1867. After the death of his father, on 14th August 1834, when he was aged twelve years, his stepmother, Jane Barton, admitted him to the Charleston Orphan House together with Alexander Sivill (later indentured to Henry Pregnell in 1837). Anthony was indentured to John W. Hodges as a merchant on 16th March 1837. These Indentures expired on 14th August 1843 and 14th August 1844, respectively. He later married Sarah R. Mann on 17th May 1846 and worked as a carpenter in Charleston. In 1835/6 Jane Barton, widow, was living at 8 Pitt Street and in 1837/8 at 9 Pitt Street. I do not know when she died. Her son, Aaron J. Barton, who was born on 2nd March 1829 and died on 11th July 1911, had an interesting military career. ‘Mrs. Hayes was one of the pioneer residents of Augusta, having made this city her home for fifty years. Before her marriage at Charleston in 1846 to Mr. Richard Hayes, she was a Miss Barton, the daughter of a prominent Englishman who had come to America while she was yet a child. Dating back as they did in the days when the United States were but a few scattered colonies, the years of her girlhood were fruitful of reminiscences which, when related in after times, to her children and grandchildren, were full of a deep and charming interest. When the great Frenchman, Lafayette, visited the South and spent a few days at Charleston, the school children of the city were presented to him. The procession, as it moved past the great benefactor of the struggling colonies, was led by little Miss Hannah Barton, then a laughing school girl. Afterwards, when Osceola, the Indian chief, whose grave on Sullivan’s Island is now visited by hundreds of interested tourists, was a prisoner in one of the old forts around Charleston, the same little girl was taken one day to see him. She remembered having timidly shaken hands with the fierce old warrior a few days before his death. It will be remembered that the eldest son, William Ford Barton, was baptised at Thornbury in 1812. On his gravestone, in New Hope Cemetery, Rowesville, South Carolina, it says that he was born on 24th April 1811 and that he came from Gloucestershire. His death is recorded as taking place on the 16th December 1890. ‘Dr W. F. Barton was a native of the Parish of Berkeley, England, but came to this country when a boy about 14 years of age and at once entered upon a career the changing fortunes of which made him a conspicuous figure in the history of his adopted country. Without money or the advantage of a liberal education but with a laudable ambition supported by indomitable courage, he worked out a success in his young manhood that enabled him to study medicine and to enter into a broader field of usefulness. As a practising physician he was eminently successful and few men in his profession have made a more enviable reputation for skill and high attainment than he. Through a long series of years, even down to the war and after, he held the confidence and esteem of the entire community in which he lived and practised. Growing in years and unable to pursue his profession further, he now devoted his entire time and energies to the farm. Here too his excellent judgement and close application to duty made him not only a successful farmer and trusted counsellor, but a leader in whatever enterprise which had for its object the advancement of agriculture and prosperity of the people. In 1869, on January 6th , Starwall Plantation was purchased from Henry N. Snell. This is the Barton home place. The back part of the farm was purchased from David W. Snell in 1878. Not only do we have this link between Starvall Farm at North Nibley and Starwall Plantation at Orangeburg but in the home of Dr William Baynard Barton Jnr. in Marion Virginia were two framed paintings. The one was of North Nibley Parish Church with Richard Barton’s gravestone in the foreground. The other was of ‘Starwall Farm House (sic), North Nibley, England’ Both were painted in about 1920 from photographs taken by the youngest daughter of Augustus Barton of Starvall Farm, North Nibley. Interestingly the Bartons of Carolina had clearly gained the impression that their English forbears had lived at North Nibley since the beginning of the sixteenth century and that Starvall had been the home of the Bartons for 200 years. Also they knew nothing of the Berkeley Poaching Affray and the part that it played in their family history. Elizabeth Barton was baptised on 6th January 1792/3 at North Nibley. She married James Till of North Nibley on 28th January 1815. In 1841 James and Elizabeth were farming at Tortworth. James was aged fifty and his wife aged forty-nine-years. Their children included Elizabeth aged twenty-two-years, Caroline aged twenty and Hannah aged nineteen years. They had four servants. In the 1851 census return James Till was a farmer of 250 acres at Tortworth employing four labourers. He was described as fifty-nine-years-old and born in Tortworth. His wife, Elizabeth, was aged fifty-eight and born in North Nibley. Their daughter Elizabeth was aged thirty-one-years and born in Cromhall; Caroline was aged twenty-nine-years and born in Cromhall; Hannah was aged twenty-eight-years and born in Tortworth and James, aged eighteen, was born in Tortworth. Elizabeth died on 20th May 1855 and her husband died on 19th March 1867 aged seventy-five years. They were both buried at Tortworth. In 1861 James Till was farming 200 acres at Tortworth with two men and a boy. He was described as aged sixty-nine-years and born at Tortworth. With him were his daughters Elizabeth aged forty-two-years, Hannah aged thirty-eight and son James aged twenty-eight. All were born in Tortworth. Also we find Caroline Till his grand-daughter aged eighteen years and born at Wickwar. Others staying included Henry Dyer, a visitor aged thirty-five, a carpenter, born in Wanborough, Oxfordshire and three servants and a lodger. According to probate records James Till, late of Tortworth, yeoman, died on 19th March 1867 at Tortworth. His will was proved on 21st June 1867 oaths being sworn by George Till of Cromhall, yeoman and son, and William Till of Morton, yeoman and nephew, executors. The estate was valued at under £7.000. Presumably this is the James Till, Maltster of Cromhall, who was an Executor of his brother-in-law, Henry Barton’s will in 1819. Henry Barton was baptised at North Nibley on 17th February 1794/5. He was a farmer of North Nibley. He made a will on 8th January 1819 and died on 10th March 1819 aged twenty-four years. He was buried on 17th March at North Nibley. His will was proved on 24th August 1822 and the estate was valued at under £450. He left money to his nephews – John and George Barton, sons of William Barton; William Ford Barton, the son of Anthony Barton; and Henry Barton, the son of John Barton. His executors were George Barton, Farmer of North Nibley, his brother, and James Till, Maltster of Cromhall, his brother-in-law. Harriet Barton was baptised on 14th October 1798 at North Nibley. She married Henry Sheppard on 3rd October 1815 at the Church of St Philip and Jacob in the City of Bristol. The witness was her brother, Anthony Barton. George Sheppard was baptised on 22nd September 1816 at North Nibley and Emma Sheppard was baptised there on 1st December 1817. She was described as the daughter of Henry and Harriett Sheppard of Nibley, Farmer. Henry Sheppard was buried at Stone on 20th January 1818 aged twenty-two-years. Harriet Sheppard, widow, married James Watts, of Wickwar, a butcher, on 6th April 1819 by licence. The witnesses were George and Mary Watts. In 1841 James and Harriet were living at Wickwar. He was described as a forty-year-old labourer and Harriet was gived as forty too. Both were born in the county. Staying with them was Emma Sheppard, aged twenty, a dressmaker, born in the county. In 1851 James and Harriet Watts were living at Balsall in Hampton-in-Arden. He was described as a fifty-four-year-old agricultural labourer born in Wickwar and Harriet was fifty-three and born in North Nibley. In 1861a Thomas (sic) and Harriet Watts were living at Balsall. He was described as a sixty-four-year-old Agricultural Labourer born in Wickwar and she was sixty-three and born in North Nibley. Ten years later James Watts and Harriet were still living in Balsall. He was seventy-four-year-old labourer born in Wickwar and she was seventy-three-year-old labourer’s wife born in North Nibley. In 1881 the couple was still living at Oldwich Lane, Balsall. He was eighty-four-years-old and aformer farmer born in Wickwar and she was eighty three and born in North Nibley. Harriet died in the third quarter of 1882 in Solihull Registration District. Richard Barton was forty-three-year-old when his son William was born and in 1790 he made his will in which he refers to William Barton as one of his twelve children. William’s father was buried on 17th May 1801 leaving an estate of less than £1,000. The will was proved on 14th November in that year. William would have received £100 from his father’s estate in 1805 when he reached the age of twenty-one-years. Some corrections you may want to add to your information found on the following site. According to the gravestone at the following site, Hannah was married to Richard H. Hays. May Jane Hayes should read Mary Jane (Hays) Love. Richard, hope you are doing well. I believe our last correspondence was in 2007. You are certainly welcome to use any of the Barton information. When I tried to use your old email address, it failed. Please pass along a hello to Edwin Ford and Mervyn Harding. I am sending you the seven children of Isabella A. Barton and Samuel Thomas Izlar and the two children of Ernest Barton Izlar and Eva May Brunson should you wish to added them. Did you ever make a trip to the Gloucester Archives and see the original baptismal record for Sarah Barton (BAPTISED: 14 Apr 1814 at Thornbury)? ISABELLA A. BARTON was born October 04, 1844 in Charleston, South Carolina, and died March 07, 1913 in 503 E. Liberty St., Savannah, Chatham County, Georgia. She married SAMUEL THOMAS IZLAR April 19, 1866. He was born Abt. 1833 in Orangeburg County, South Carolina, and died November 25, 1909 in 416 E. 36th St., Savannah, Georgia. 1. CYRMANTHIA VIRGINIA5 IZLAR, b. October 05, 1869, Orangeburg, South Carolina; d. June 30, 1940, 122 E. Waldburg St., Savannah, Chatham County, Georgia. 2. MARGARET “MAGGIE” IZLAR, b. January 08, 1871, Orangeburg County, South Carolina; d. August 15, 1957. 3. ERNEST BARTON IZLAR, b. July 03, 1873, Orangeburg County, South Carolina; d. January 02, 1968, Candler General Hospital, Savannah, Chatham County, Georgia; m. EVA MAE BRUNSON, May 27, 1908, Effingham County, Georgia; b. November 04, 1879, Ridgeland, South Carolina; d. March 08, 1968, Candler General Hospital Savannah, Chatham County, Georgia. 4. MARIE LOUISE IZLAR, b. December 16, 1877, Orangeburg County, South Carolina; d. September 15, 1956, Hartsville, South Carolina. 5. BENJAMIN WHITEMAN IZLAR, b. November 10, 1880, Orangeburg County, South Carolina; d. October 04, 1910, Tyron, North Carolina. 6. JAMES STOKES IZLAR, b. December 04, 1885, Orangeburg County, South Carolina; d. February 19, 1913, Braid & Hutton Printing House, Bryan and Witaker St., Savannah, Chatham County, Georgia. 7. NELL IZLAR, b. December 04, 1885, Orangeburg County, South Carolina; d. January 04, 1966, Orlando, Orange County, Florida. You will note that my grandfather’s middle name was Barton. ERNEST BARTON IZLAR was born July 03, 1873, and died January 02, 1968 in Savannah, GA. He married EVA MAY BRUNSON May 27, 1908 in Effingham County, Georgia. She was born November 04, 1879, and died March 08, 1968 in Savannah, Ga.
1. ERNEST BARTON5 IZLAR, JR., b. August 03, 1909; d. March 15, 1973, Savannah, Georgia. 2. MILDRED ISABELL IZLAR, b. March 06, 1917; d. March 10, 2002. This entry was posted on April 28, 2016 by Richard Barton in Barton Family and tagged Anthony Barton, Barton, Berkeley Poaching Affray, Churchstanton, David Barton, Dunkeswell, Family History, Gloucestershire, Goldwick Farm, Hobbs, Lee, North Nibley, Oakleaze Farm, Richard Barton, Riddiford, Sheppard, South Carolina, Starvall Farm, Till, Watts.